Written By Embryo Digital on 11th January 2017 . We often get asked, “Are rubber roofs any good?” Well if you’re looking for something that will last longer than you can first imagine, then keep reading. 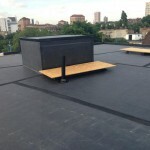 Of course just with anything out there, there are benefits and disadvantages to Rubber Roofing. And we will discuss them below…. Rubber roofs typically have an age range that can last a lot longer than you think. Generally, when people think of rubber roofs, they imagine that something of a rubber nature won’t last very long. 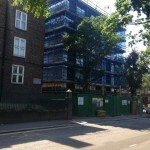 However, this couldn’t be further from the truth – as Rubber Roofing can typically last from 30 to 50 years. Again, just as above, people often think that rubber is not reliable and can be susceptible to damage. However, this again is further from the truth. Rubber roofs actually hold up well against harsh weather conditions such as winds, rain and worse. Rubber roofs are also flame retardant. Rubber roofs are also ozone and UV stable, making them non-perishable. Rubber roofs are generally made out of materials that are deemed to be environmentally friendly. 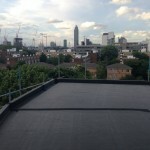 The associations Greenpeace and ACTAC have deemed rubber roofs as the leading choice for roofing where environmental properties have to be considered. Rubber also acts as an insulator that can help to cut costs in the winter. Rubber Roofs are generally lightweight which make them easier to move and haul accordingly. It is also waterproof, which makes it an ideal material from keeping water away. And in general, if the situation arises where repairs are needed, then this can be done with minimum fuss. 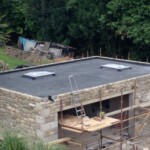 An EPDM Rubber roof is only as good as the people who install it, our team are fully trained installers with years of experience so you can be rest assured that you are getting expert workmanship. For any information regarding the Alvadac EPDM flat roofing system please contact us using the details below and one of our experienced staff will be happy to help.